In a news conference next to the U.S. Capitol steps, Wyden, Bonamici and county commissioners including Multnomah County Commissioner Loretta Smith called on Congress to reauthorize the Secure Rural Schools (SRS) program and provide full funding for Payments in Lieu of Taxes (PILT) in legislation Congress must pass by March 23 to keep the government running. The SRS program funds public schools, public roads and bridges, forest health projects, emergency services, and many other essential county services for more than 700 counties in 41 states and Puerto Rico. The SRS program expired on September 30, 2015, and it has not been reauthorized. Forest counties and schools received their last authorized SRS payment in 2016. Without SRS, residents in rural counties across Oregon have been faced with deep funding cuts to critical services like schools, jails and mental health services. Wyden wrote the original legislation that created the SRS program in 2001. 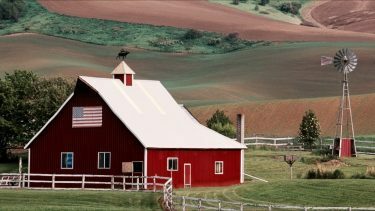 Since then, it has generated more than $7 billion to rural counties across the country. The PILT program has provided more than $5.5 billion to counties. Wyden and Bonamici introduced bipartisan legislation last year in the Senate and House to reauthorize the SRS program for two years.